Welcome to the Xtreme Minute! 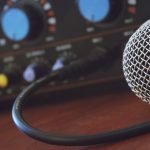 Our goal is to provide a quick snapshot of what you can expect to hear in today’s TechGenix Xtreme podcast discussion with Louise Chalupiak and Peter King, including links to the articles we discuss. Enjoy! Inspired by the adoption of virtual offices and remote work strategies, in our first article I share the five questions that should be part of every vendor evaluation template. Titled, Does your potential external IT vendor use remote workers? Ask these five questions before you sign the deal, this discussion is really about the changing face of business and a reminder that we need to ensure we not only hold them accountable but that we address these changes when evaluating and engaging an external vendor. In a completely different approach, we move on to an interview by Mitch Tulloch titled, Small business IT support: Ways to keep recurring revenue flowing in. This interview draws our attention to the fact that we need to stop thinking that all business strategies need to involve social media. For everyone out there who has ever owned a small business, there is an intimate awareness that cash-flow problems can happen. This is an inside, honest view and while the article speaks from the perspective of a small IT specific support business, there are key drivers that apply to more than just IT. To conclude our discussion, we contemplate the business drivers behind Microsoft’s recent purchase of GitHub. Documented by Twain Taylor in his article titled, Microsoft’s GitHub acquisition: What it means for you, this one is truly a head-scratcher as Twain asks the question we all want to ask. Why? Most likely the instigator of the number one computer science master’s thesis statement for the next decade, Twain helps us make sense out of Microsoft’s latest purchase. Don’t get left behind! Get a heads-up on the latest trending technology topics and articles. Click here to join our newsletter. We love hearing from you and miss you when you don’t write! Click here to send us a question or a suggestion.